Jennifer is a channel marketing and product management visionary with more than 25 years of experience working both in and for the channel. Today, she is the Vice President of Marketing and Corporate Social Responsibility for Worldcom Exchange Inc. (WEI), a Triple Crown winning Northeastern enterprise VAR, where she drives strategies for marketing engagement and activation, customer advocacy marketing and community and social responsibility outreach. Prior to joining WEI three years ago, Jennifer was Sr. Product Marketing Manager at PCConnection where she managed a team that was responsible for all HP EG product strategy, sales motions, field engagement and go-to-market planning. 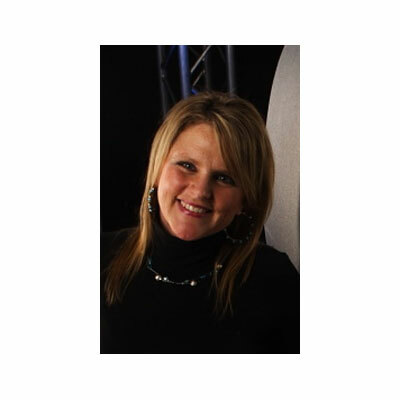 Jennifer has also worked for Epson managing professional storage products where she trained, engaged and activated channel partners. She has also been a Senior Product Solutions Manager for Iron Mountain and has held product management and channel engagement positions at Iomega, where she is credited with developing the company's hard drive line, and Canon, where she managed all product management and go to market for the Inkjet and laser printer line. Jennifer holds an MBA from Bentley University's McCallum Graduate School of Business. She lives in Merrimack, NH and has a 15-year-old daughter and two Catahoula Leopard dogs. During my three years at WEI, I have worked to carefully craft marketing programs that closely align our sales, partner and customer engagement visions so that we can be truly integrated in our approach. This takes a dedicated focus to aligning sales with our partners as we develop the outbound strategies that produce meaningful results. In our organization, I've created a process that joins sales and marketing "at the hip" so that we are working together to go deeper and wider with current customers as well as engaging new ones. As WEI has grown, so has our number of partners and programs. Today we execute integrated campaigns for over 10 partners, consistently working to align partner program components with the specific needs and requirements of our customers. This is done with a close strategic view into our market, in close alignment with sales and partners, to achieve the engaging campaigns that our prospects embrace and act on. As a result, we have realized a 33% growth in new customer acquisitions over that timeframe. Wearing my social responsibility hat, I implemented many initiatives and programs that significantly contributed to WEI receiving second place in Business NH Magazines "Best Places to Work." While it's always important to drive net new customers and grow brand awareness, what is most important is customer advocacy. My top goal is to transform our loyal customer based into advocates and evangelists. This is how you can build the stronger relationships that transcend products and technology. To achieve this, we are focused at connecting with customers and prospects at the community level, not just to sell them product but to walk hand in hand with them to partner in delivering the solutions that make a difference in their lives. My biggest honor over the past year has been being the mother of a bright, inquisitive and inspiring daughter as she works to develop into a remarkable young woman, while balancing a single parent household. While it may be a cliche, I am an avid admirer of Michelle Obama. Not so much for what she has accomplished - while that is significant - but in the way she has accomplished it. Her intelligence, grace, patience and caring nature make her a role model for all women. She's supported women's education, evangelized women's courage, and inspired many to adopt a healthier lifestyle by being more active and eating better. But, perhaps even more, she's shown young women how they can balance motherhood and career while making a difference in the world. If I was to have a heart-to-heart talk with my 16-year-old self, I'd tell her not to be afraid to fail. What may seem like a risky challenge will often present new opportunities for success. I'd also tell her to be present in the moment, be curious and don't be afraid to say "no" when requests are not aligned with your goals. I'd also tell her to travel more because you can learn so much by experiencing the world around you. I would seek to master the skill of Advocate Marketing. When you can truly make the human connections that bring your customers happiness, they are more than willing to help you achieve your business goals. I would like to find new ways to nurture our customers to move them beyond satisfaction to loyalty and love. This not only can have a positive impact on WEI sales and growth, but in my own personal satisfaction. I want to do what I can to have a real and valuable impact on the lives of our customers. Behave by Robert M. Sapolsky. This book is a fascinating read on the biology of humans - at their best and worst. It's a neurologists' look at what drives humans to help and harm one another. From our nervous system and hormones to evolution and the environment it explores the biological reasons behind how humans act and respond. It gave me a new perspective on how people engage and interact which I've been able to translate into my marketing strategies and approaches.